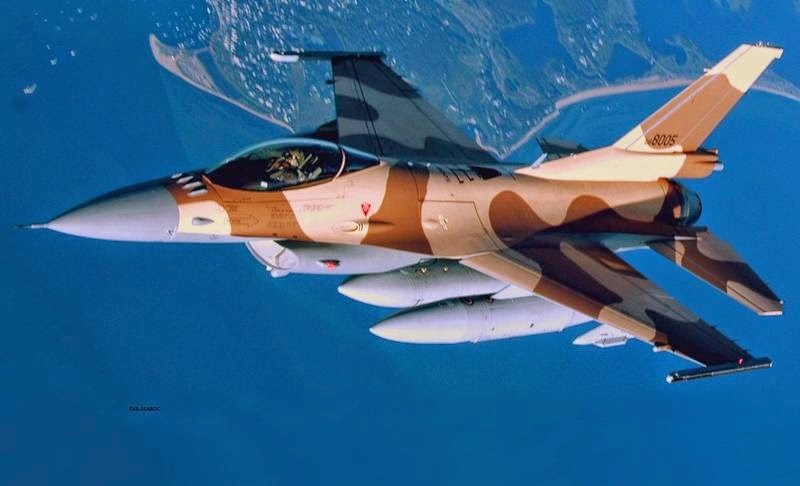 A Moroccan F-16 warplane taking part in the Saudi Arabian-led coalition fighting in Yemen went missing on Sunday, the Moroccan Royal Armed Forces said in a statement. "One of the F-16s of the Royal Armed Force (FAR) made at the disposal of the coalition led by Saudi Arabia to restore the legitimacy in Yemen went missing on Sunday at 6 pm local time," FAR's statement carried by the Moroccan state news agency MAP said. Aljazeera is reporting RMAF aircraft went down after being struck by hostile fire. From the FAR description of the incident, aircraft appears to be RMAF Lockheed Martin F-16C Block 52+ type Fighting Falcon. This is the third aircraft reported lost during the Saudi-led air war over Yemen: the first being a RSAF Boeing F-15S Strike Eagle multirole strike fighter and the second a RSALF or SANG Boeing AH-64 Apache attack helicopter. Who collected parts of the aircraft ?